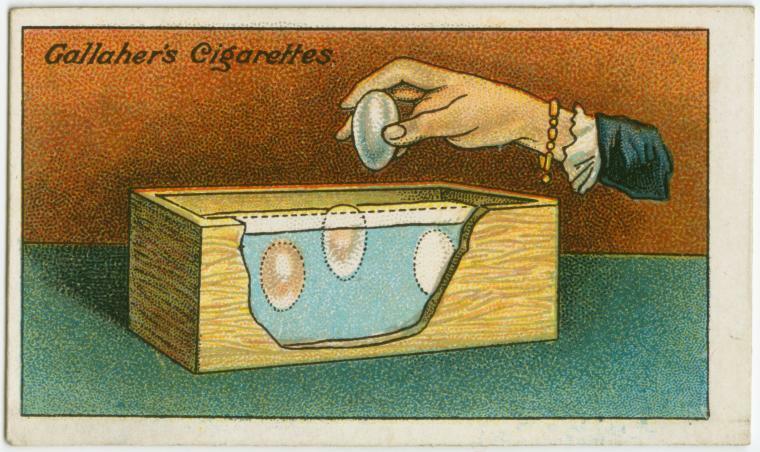 Beginning in 1875, cigarette manufacturers started inserting trade cards into their paper packs of cigarettes to stiffen packaging. 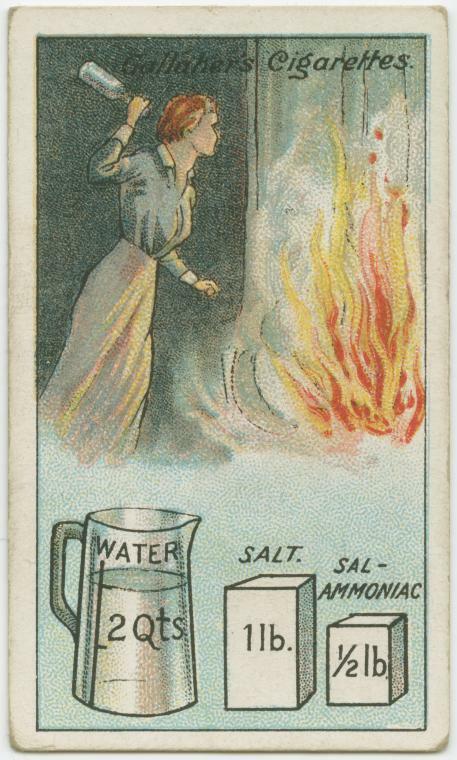 Soon, they got the idea to put actresses, baseball players and boxers onto those cards, grouped into collectible series. 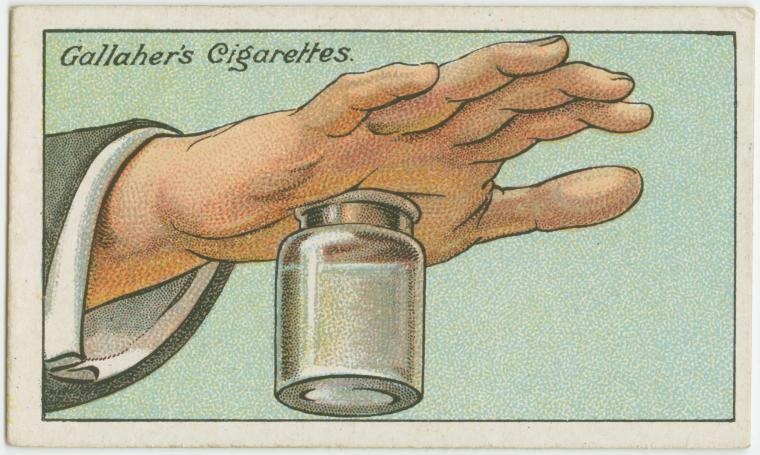 The cards, which continued into the 1940s, are highly valuable today, with the most expensive (featuring the face of rigorous anti-smoking baseball player Honus Wagner) selling for $2,350,000 in 2007. 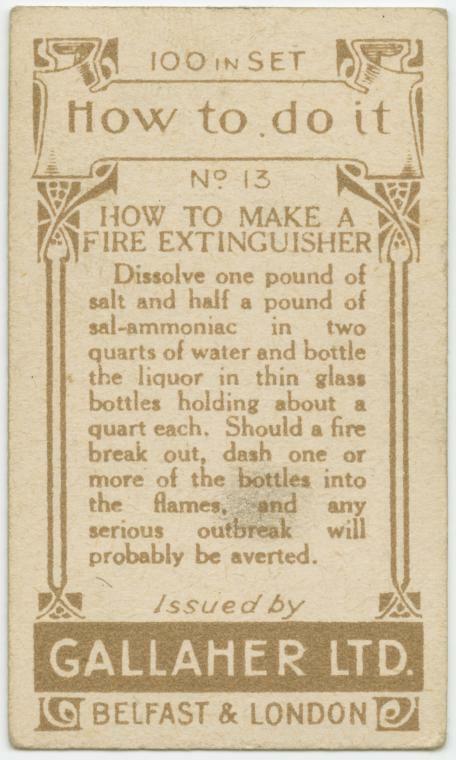 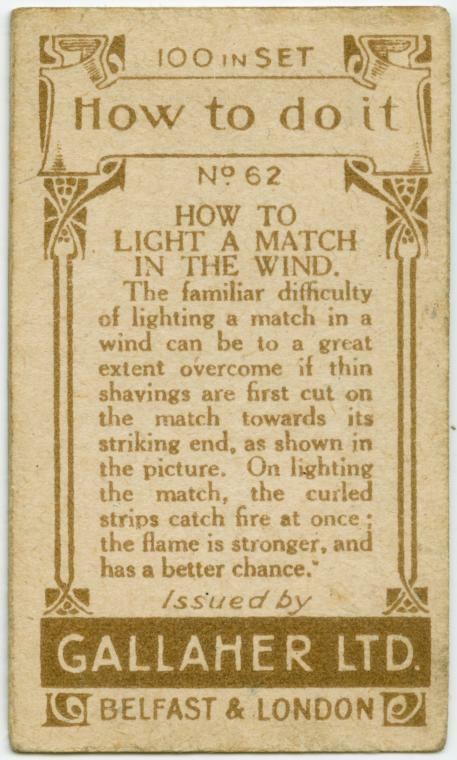 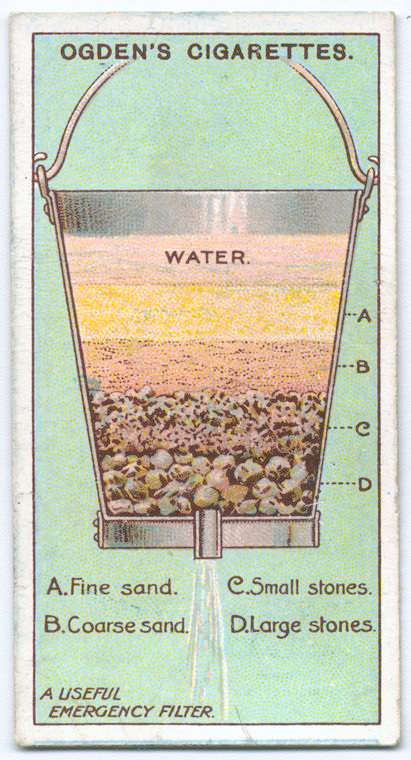 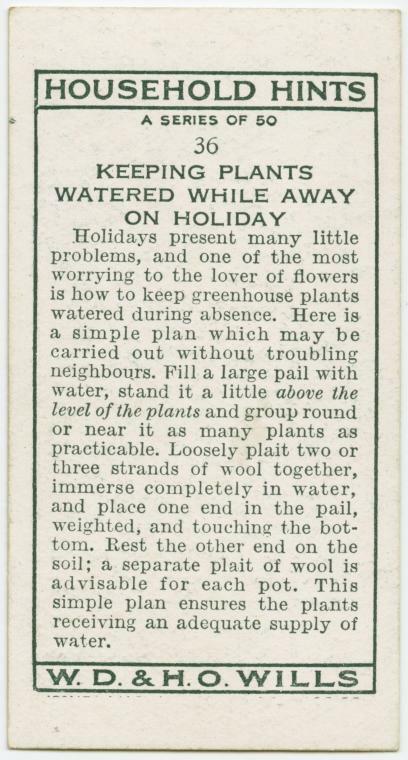 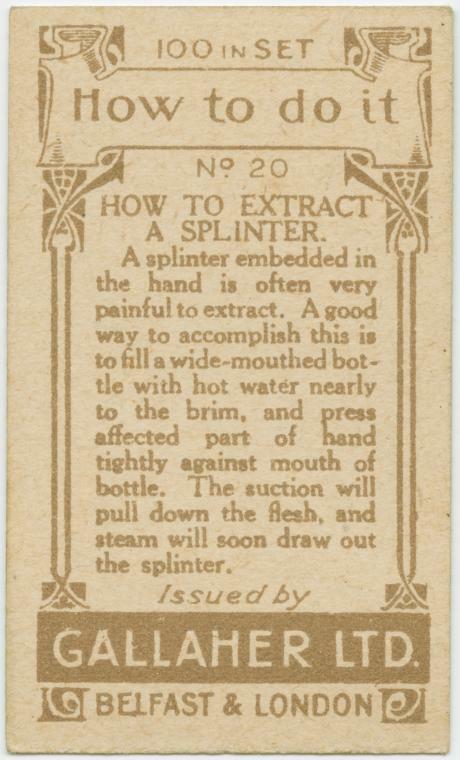 In the 1910s, Ogden’s Branch of the Imperial Tobacco Co and Gallaher Ltd of Belfast & London printed “How-To” series, with useful tips for both everyday and emergency situations. 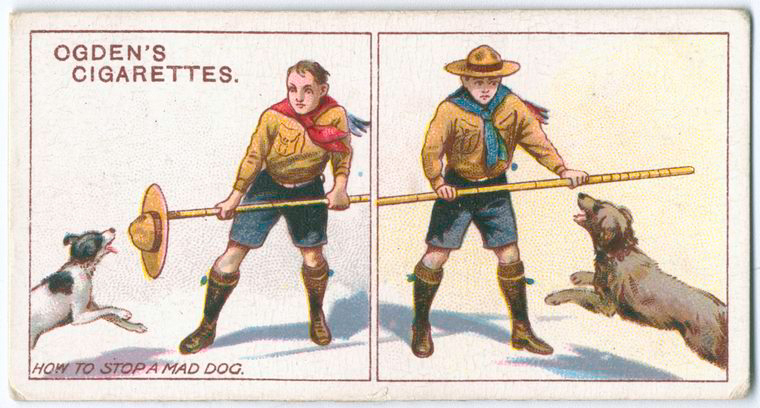 From stopping a mad dog to lighting a match in the wind, these cigarette cards tell you the clever way to handle many of life’s problems. 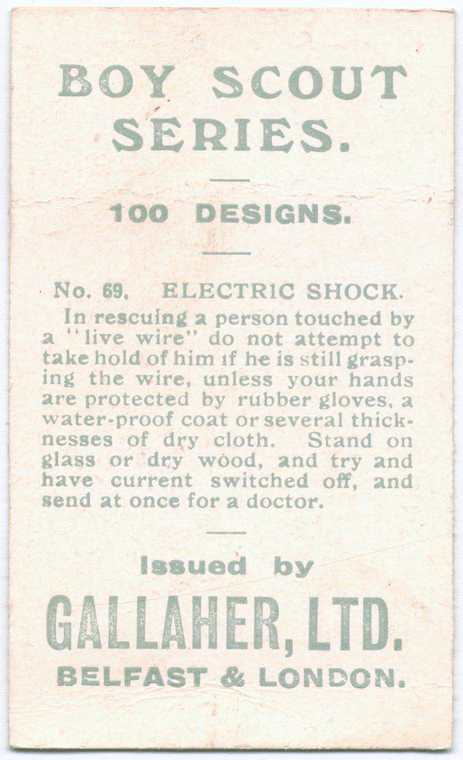 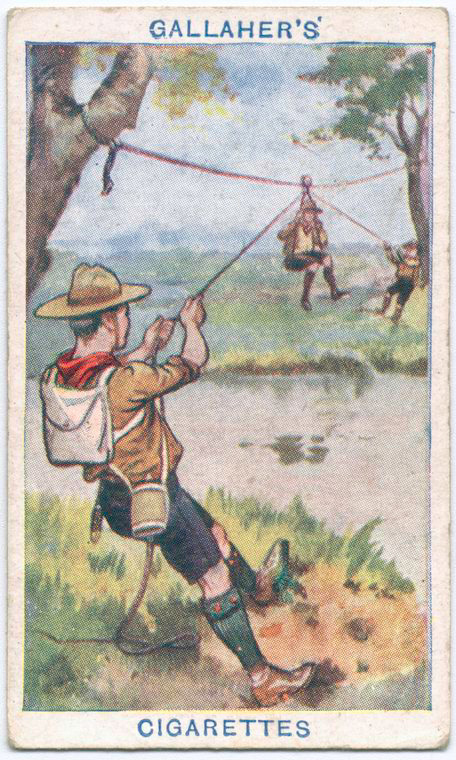 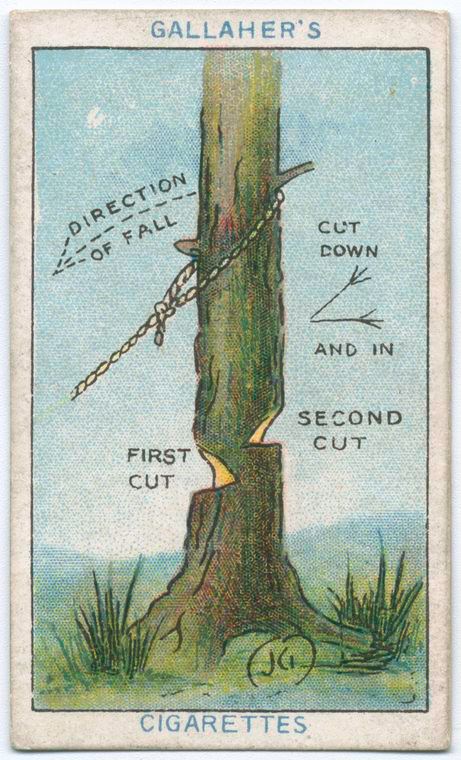 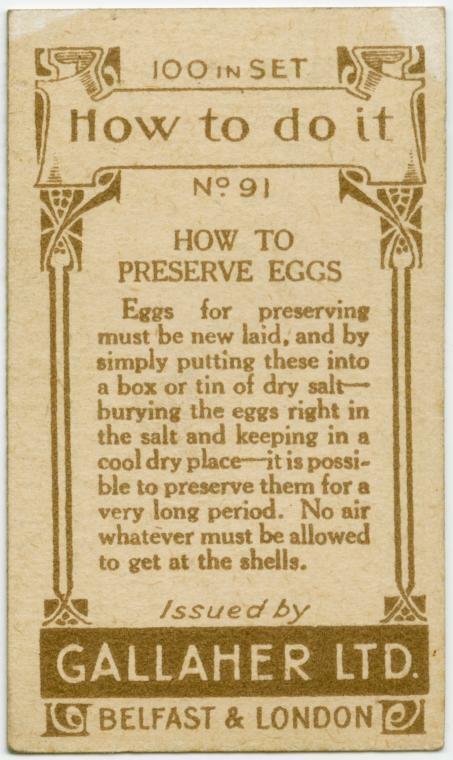 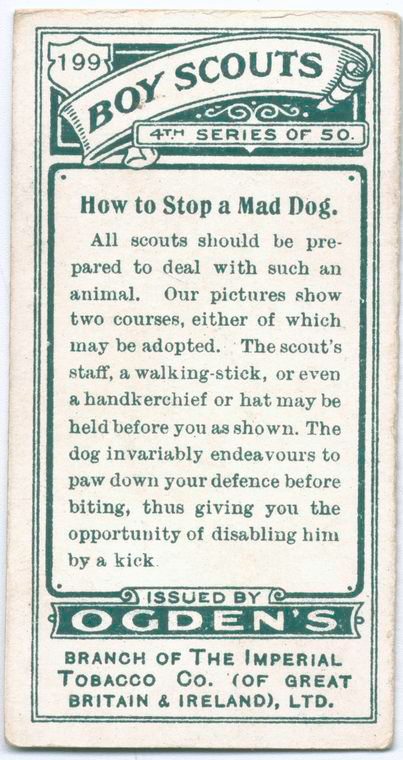 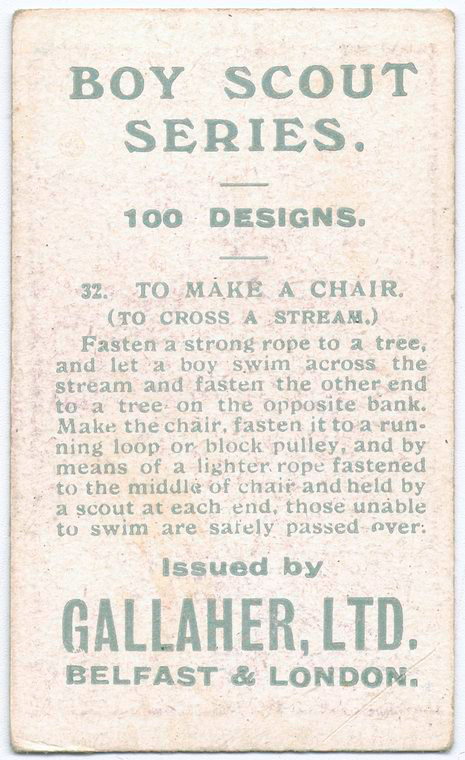 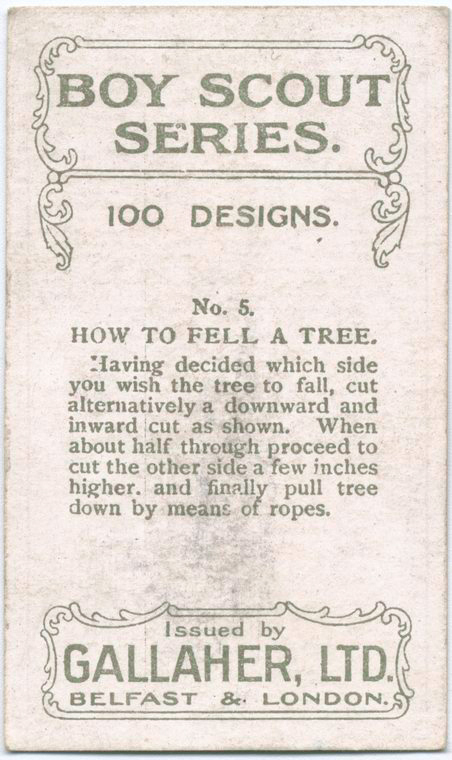 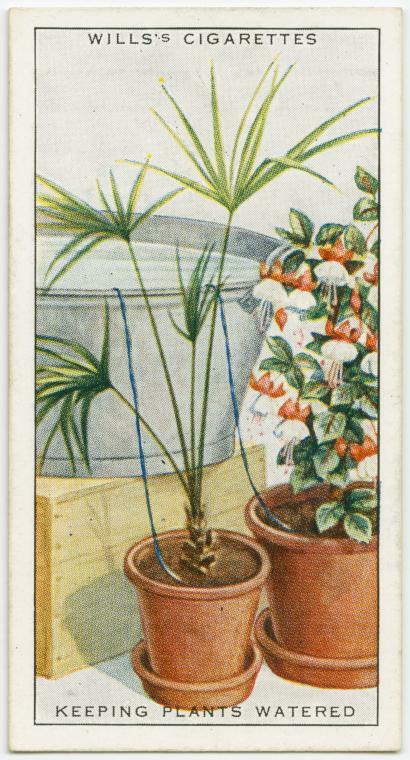 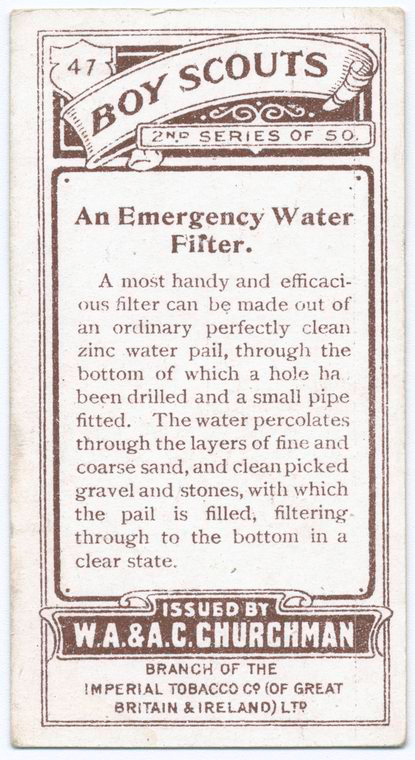 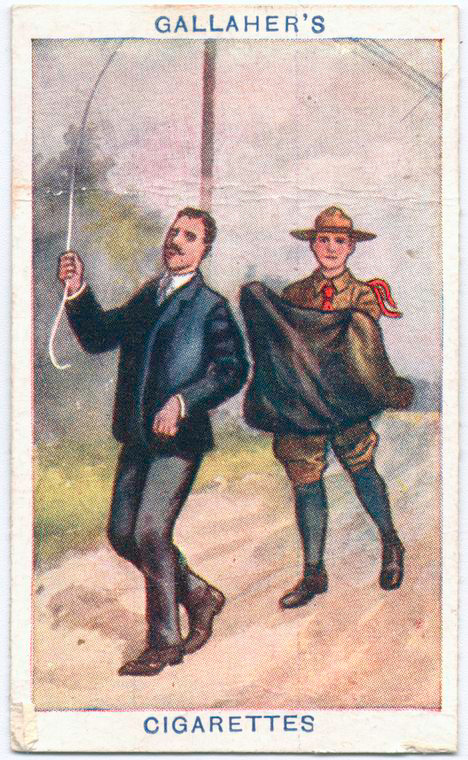 Please note that these cards were published a century ago, when safety was not as popular as it is now. 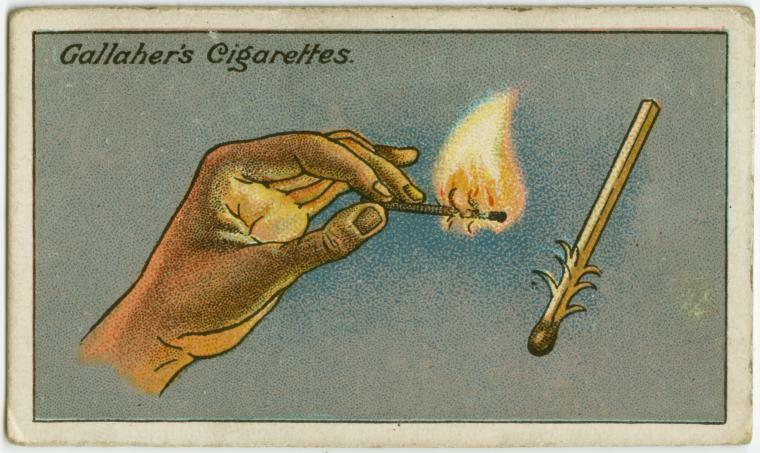 Because of that, it’s not recommended to try them yourself.